Nobody knows more about battery chargers and power supplies than we do!  The Swedish Micropower Group consists of nine companies with activities in Europe, USA and Asia. Our companies develop, produce and market a complete range of unique solutions for optimized battery chargers, power supplies and modular Lithium-ion batteries. The parent company Micropower Group AB is based in Växjö, where also a majority of the companies are located. The business was founded in 1984 and has since the start been characterized by entrepreneurship, quality thinking and strong customer focus – core values which we carry along every day and onwards into the future.